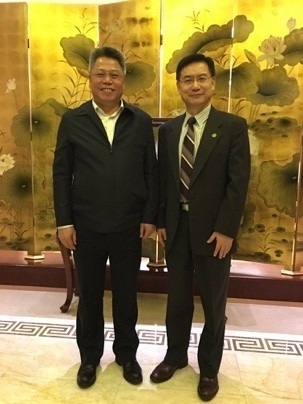 Guiyang City, Guizhou Province– On November 11th, 2018, Mr. Eric Fang, President of the National Center for Sustainable Development (NCSD) met with Vice Governor, Mr. Wang Shijie of Guizhou province during the 30th anniversary celebration of Guizhou International and Domestic Public Relations Association (“GZIDPRA”) & The Belt and Road Boosting Guizhou Development Forum in Guiyang city. 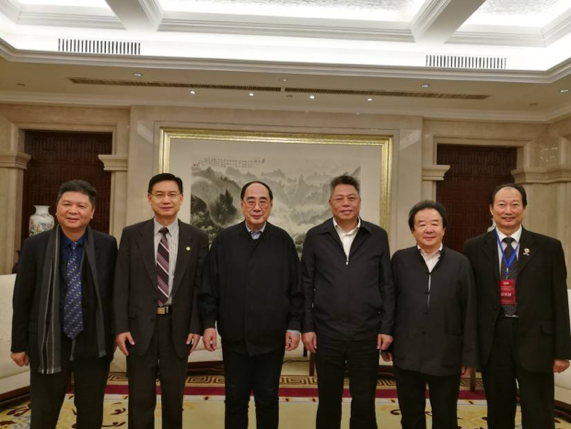 Accompanied by Mr. Qi Xinchao, Chairman of GZIDPRA, Mr. Fang made an official visit to Mr. Wang Shijie, Vice Governor of Guizhou Province during the Forum. Mr. Fang thanked Governor Wang for his continue support NCSD China development and in particular the cooperation with Guizhou province and Guiyang city. 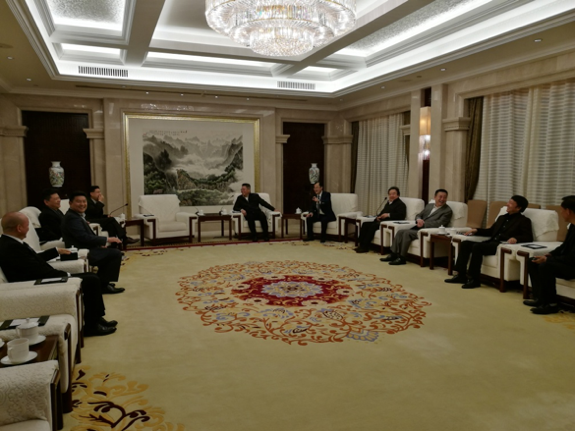 Mr. Fang briefed Governor Wang on a series of activities and business cooperative development of NCSD in environment, new energy, education and life sciences in Guiyang city and Guizhou province and China. Mr. Fang further elaborate NCSD’s cooperation with Mayor Chen Yan and his team in Guiyang including the environmental management with Guiyang city and the industrial technology development with the Guiyang Duty Free Zone Management under the Guiyang city management. During the meeting with Governor Wang, Mr. Fang briefed on the successful cases that NCSD accomplish in boosting technology, investment and market entry between SMEs in China and the United States. Governor Wang expressed his appreciation to NCSD for its dedication and support to the development of Guizhou Province, and the Vice Governor Wang expressed his total support and hope that NCSD would continue to pay attention to Guizhou Province in the future and continue to introduce the advanced technology and resources of the United States to Guizhou to provide help for its future economic development.